In a recent survey amongst our engineering candidates, we asked ‘who has been the most influential engineer of the last 160 years?’ Unsurprisingly with the extent of his engineering career, the person who came out on top was the legendary Isambard Kingdom Brunel. Many of us are familiar with the name and can probably all state at least one of his key engineering achievements but I thought it was worth taking a bit more time to understand Brunel’s full influence and the legacy he leaves behind for today’s engineers. Like many engineers today, Brunel may well have been inspired to enter this profession by his father, Marc Brunel, who was a talented engineer. Isambard even worked with his father on his first major project, the Thames Tunnel. The project involved creating an underground passage which would run under the Thames riverbed between Wapping and Rotherhithe. Whilst it was designed by his father, Isambard was responsible for operations. As the first tunnel in the world to run under a river, the engineers who designed and constructed the Thames Tunnel faced a fair few challenges over the life of the project, which ended up taking 18 years. It was a dangerous job for the miners and bricklayers involved in construction who were exposed to raw sewage and occasional flames from ignited methane gas. On several occasions the workforce also had to contend with flooding. They were, however, offered some protection from the unique tunnelling shield devised by Marc Brunel, which has informed modern tunnelling methods. 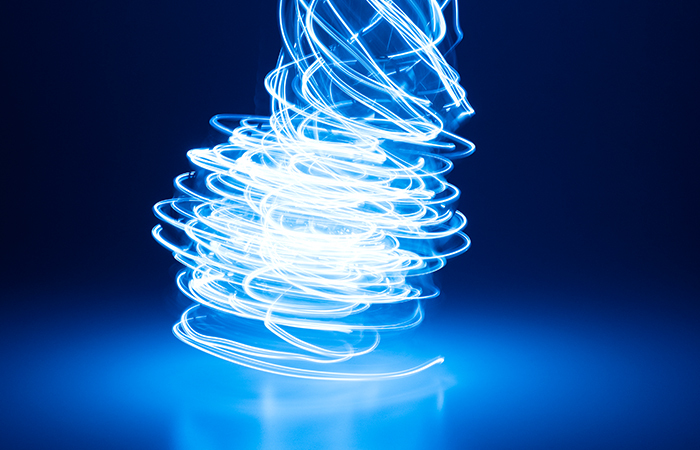 Engineers today have new technology to hand to assist in design and assess the danger of working environments. BIM (Building Information Modelling), for example, is changing the way construction projects are undertaken by providing a complete 3D model with status tags of each component of a structure. This information mapping provides invaluable intelligence to each stage of the project lifecycle and reduces the amount of risk involved for construction workers. The development of this technology has also created new engineering roles such as BIM coordinators, BIM managers and BIM modellers. Although it is used for different purposes than the horse-drawn freight carts it was originally intended for, the fact that the Tunnel is still in use today is just one example of Brunel and his father’s long lasting legacy. 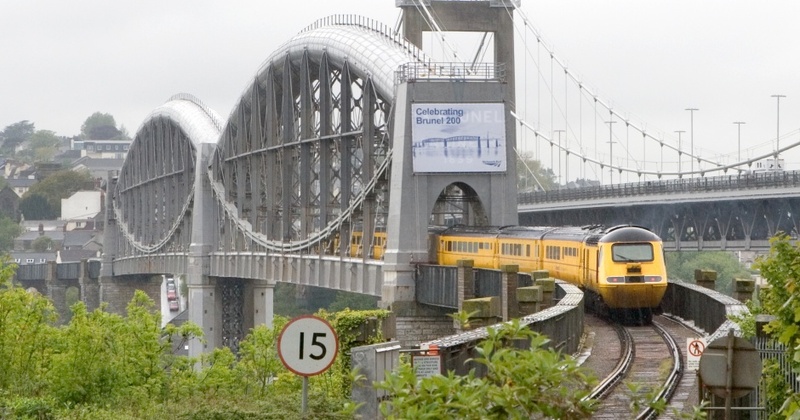 Perhaps one of Brunel’s most notable projects is the Great Western Railway, connecting Bristol to London through a network of train track, tunnels and bridges. As a complete project, the Great Western Railway is an amazing achievement but along the line there are many individual examples of Brunel’s incredible work including the Wharncliffe Viaduct, Maidenhead Bridge and the Box Tunnel. The main aim of the project was to create a link between London and New York via Bristol and a main driver of the design was speed. Brunel designed the route to be as straight and level as possible to enable trains to travel quickly and cut down on travel time. Before the railway line existed, journeys between the two points took 17 hours by horse-drawn mail coach. Today, it takes just over an hour and a half. In his design of the railway, which began in 1833, Brunel introduced an alternative ‘broad’ gauge to the ‘standard’ 4ft 8.5 inch gauge used on the Northern network. At 7ft ¼ inches, Brunel believed this wider gauge would increase passenger and freight capacity and allow trains to travel at higher speeds. Unfortunately for Brunel, use of the broad gauge did not last and from 1860, the Great Western Railway line was converted back to the standard gauge. Impressively, the entire line between London and Penzance was converted to standard gauge in a single weekend, albeit with a team of 4,700 men. 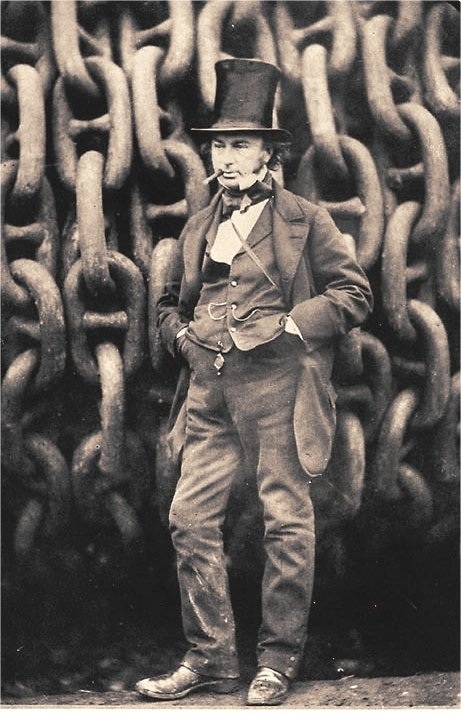 Due to modern demands of roads and railways, maintenance projects can take some time but at least for today’s construction workers, working conditions are much improved from Brunel’s day. To improve the efficiency of construction projects today, new methods and technologies are emerging including pre-fabricated tunnels and concrete spraying. A great example of speedy delivery on a modern day infrastructure project is the A12 tunnel in the Netherlands, which was completed within a weekend. In less than 48 hours, construction workers demolished a roadway which was too narrow, replaced it with a 70 metre long tunnel (underneath the A12) and rebuilt the highway above it to be one lane wider. Aside from his astonishing work on land, Brunel also achieved a number of impressive feats at sea, turning his hand to ship design. The ‘Great Western’ was the first steamship to engage in transatlantic service, the ‘Great Britain’ was the world’s first iron-hulled, screw propeller-driven steam-powered passenger liner and the ‘Great Eastern’ was the biggest ship of its time at 22,500 tons and nearly 700 feet long. Today, the maritime and shipping industry continues to strive for bigger and more efficient ships, albeit using different materials and methods. The world’s largest container ship, the MSC Oscar, has two main features which assist its energy efficiency – its U-shape double hull structure and bulbous bow and its engine which automatically adjusts fuel consumption based on the ship’s speed and sea conditions. The introduction of intelligent engines has brought with it a demand for new skill sets to design and operate ship control systems. Unlike Brunel, naval architects today rely on computer-aided engineering for much of their design work and are therefore expected to have strong IT skills, alongside the ability to do the more traditional design calculations by hand. 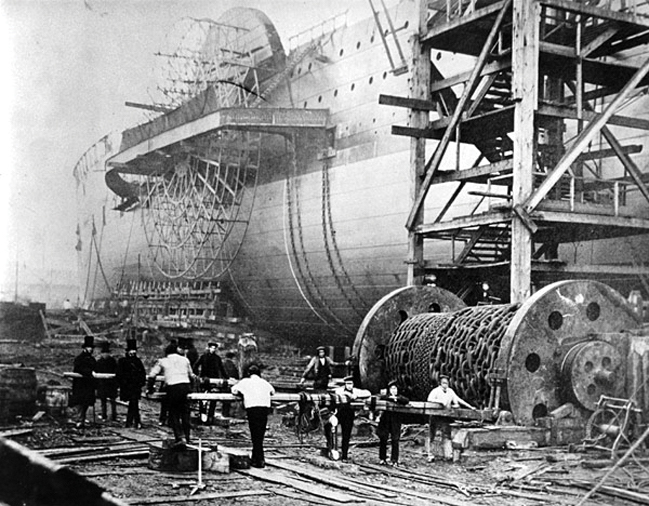 Of course, there are many traditional skills and practices from Brunel’s day which are just as important for maritime engineers today including a broad understanding of mechanical engineering, structural engineering and mathematics, as well as softer skills like strong communication and the ability to work in a team. One other area Brunel has left his mark is in the redesign of many of Britain’s major docks. Bristol dock is a great example of Brunel’s work in this field. In order to improve the flow of water and bank stability in the Floating Harbour, Brunel designed and delivered a number of engineering solutions including a dredging and sluicing system, an enlarged and improved entrance lock, a tubular wrought iron footbridge and the engine house for the Black Rock water pumping station. Today in Brunel’s very own birthplace, Portsmouth, significant works are underway to redesign the harbour in preparation for the arrival of the UK’s largest ever aircraft carriers. The principles which Brunel used to improve water flow within Bristol dock are now being applied to energy production in the Tidal Lagoon in Cardiff. In his 53 years, Brunel was involved in the design and construction of several significant structures in the UK – many of which have stood the test of time. I’ve highlighted some of his more noticeable achievements but perhaps the most impressive thing about him was his ability to turn his hand to so many different types of project. 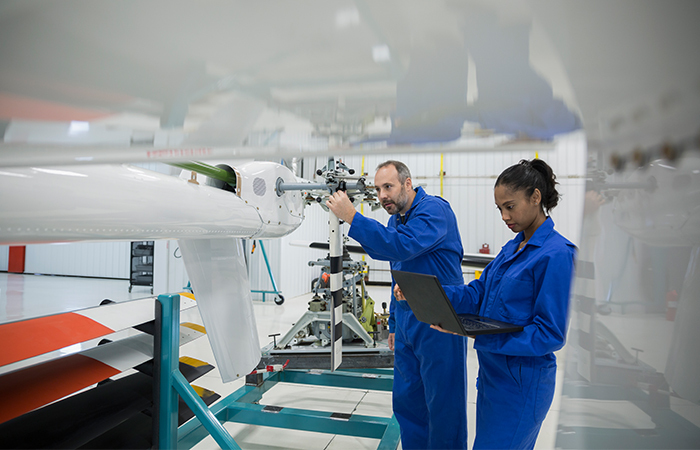 Of course there will always be a need for specialist technical roles but having transferable skills and an awareness of what processes and practices are used in other sectors can definitely enhance your employability. This is all the more apt in skills short sectors where employers have to be more open-minded about the experience of the candidates they are looking for. 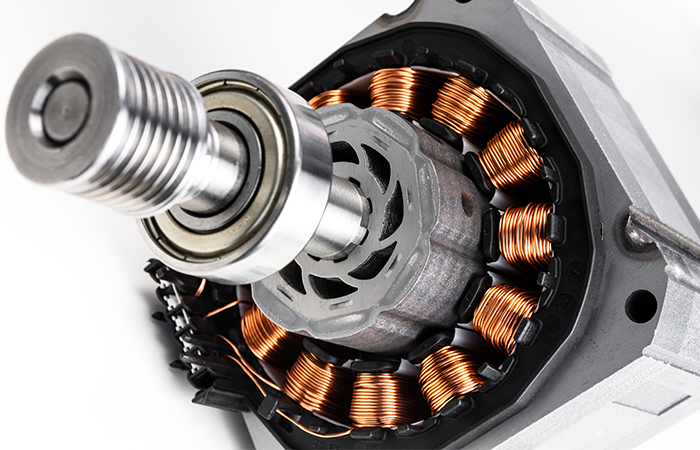 Brunel’s career demonstrates how varied and rewarding a career in engineering can be. Along with the other greats of the past 160 years, Brunel has taught us that you can build tunnels under water, you can instigate a new standard practice and you can always innovate to make things bigger and better. Keith Lewis, Chief Operating Officer of Gattaca and Managing Director of engineering recruitment specialist Matchtech. Last week’s poll: is the Dyson institute a breath of fresh air? A view through a new slice into the future? Many years ago (49, 47, and 43) I did suggest to their mother that each of three ‘new’ Blamey’s (each of whom ended-up as Engineers) might incorporate Isambard and/or Kingdom in their name. I was over-ruled: though probably wisely. I suppose occasionally putting pen to parchment qualifies me for at least the ‘bard’ part! This article would have been better without the shoehorning of a practically unrelated paragraph about BIM into the section on the Thames Tunnel. The paragraph about the London to Bristol rail line would also have made more sense without the reference to New York. Tony M’s view that quote “The paragraph about the London to Bristol rail line would also have made more sense without the reference to New York” unquote , I believe, misses the point. Brunel’s project was to cut the time of travel between London and New York to which Bristol was to be the point which land passengers would transfer to sea passage and vice versa. Its important to know in these days of uk government isolationism, that Brunels father was French, educated in France and pursued wildly by the english , even to the extent of them paying his debts to get him released from prison. Isambard was also educated in France and spoke French as well as English. So yes , a truly great engineer , interesting how people forget details when it suits . The greatest ever english engineer , is , er , half French. Almost all of the line was mixed-gauge by then, but there was a significant section, in Cornwall, that was Broad-Gauge only. That was the stretch that was converted over the weekend in 1892. The remaining “Outer” broad-gauge lines were then removed later “at leisure” – so to speak. Great article about a great man. Fascinating to learn (for me anyway, thanks to Simon Dean) of the French connection. French education was truly excellent and produced many notable engineers and mathematicians. The comments here once again show how important and complementary are the contributions from your lowly readers in adding to the value of an article. I also had never before thought about the “French connection”, and how French expatriates, and their education and fresh way of thinking they brought with them, have so greatly influenced Britain for generations ahead . Thanks, Simon Dean, for reminding us that there are great, if hidden, benefits to not being an insular island!